What is guanabana fruit used for? 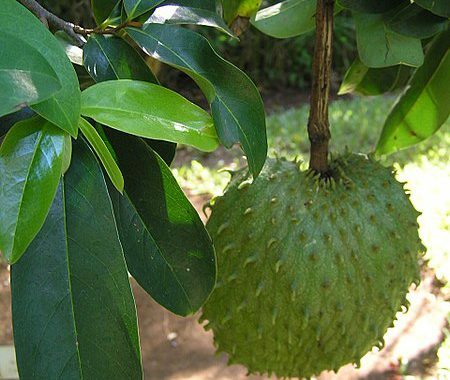 Guanabana fruit is also known as soursop and is harvested from the graviola tree. The tall tropical tree is a small, upright evergreen tree that grows 15 to 18 ft (5 to 6 meters) in height. The guanabana tree produces a large heart-shaped edible guanabana fruit that is 6 to 9 inches long. The inedible skin is yellowish green in color. 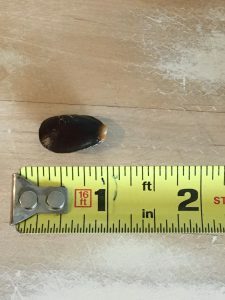 Inside is white flesh dotted with 3/4 inch black or brown seeds. You can find the fruit in most of the warmest tropical areas in South and North America including the Amazon, the Caribbean and Mexico. It also grows in south Florida. It can also be found in local markets in the tropics. Sometimes guanabana fruit is referred to as soursop, custard apple, custard pear, paw paw, or sometimes Brazilian cherimoya. What is the guanabana fruit used for in the kitchen? Guanabana fruit is excellent for making drinks, ice creams and and frozen desserts. Though it can be slightly sour and acidic, as it ripens , it can be eaten raw. What is guanabana fruit used for in natural medicine? The guanabana fruit and fruit juice can be eaten to treat worms and parasites, to cool fevers, to increase mother’s milk after childbirth. It is also used to treat diarrhea and dysentery. The crushed guanabana seeds in the fruit pulp are used to treat internal and external parasites and worms. Guanabana fruit has a long rich history of use in herbal medicine, and among indigenous peoples in the tropics. You find that a tea from the guanabana leaf is used for mucus reduction in the Peruvian Andes. The crushed seeds of the fruit are used to kill parasites. In the Peruvian Amazon the bark roots and leaves are used for diabetes and as a sedative and antispasmodic. Indigenous tribes in Guyana use a guanabana leaf tea of as a sedative and heart tonic. In the Brazilian Amazon, the unripened fruit is combined with olive oil. It is used externally for neuralgia, rheumatism and to treat arthritis pain. to bring in mother’s milk. Plus, it is also used for heart conditions, coughs, difficult childbirth, asthma, asthenia, hypertension and to clear parasites. 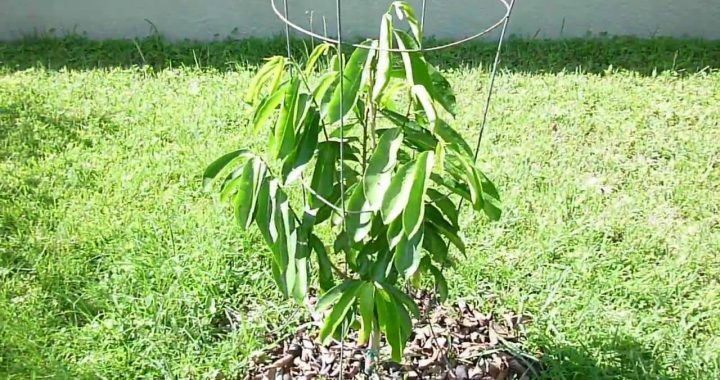 Want to grow a soursop tree that bears the prickly soursop fruit at home? It is not that hard. 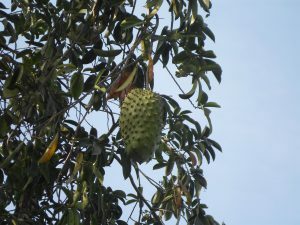 However, there are some unique issues that need to be overcome before you can successfully harvest fresh soursop for your DIY growing efforts. Warm environment that can be kept above 30 F or -1 C.
Warm, shady spot for germination. A soursop tree can grow from 25 to 30 feet tall. The tree produces an oval-shaped spiny fruit with a tender yellow/green skin. Typically, it is grown in countries like Mexico, Jamaica, the West Indies, northern South America, China, Australia Southeast Asia and Africa. In the U.S., it can grow in central to southern Florida, southern California, southern Arizona and southern Texas. 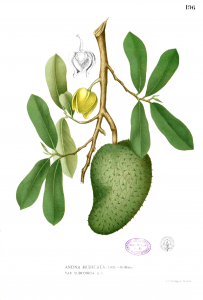 The tree that produces soursop fruit needs a tropical climate. It will not survive a frost. 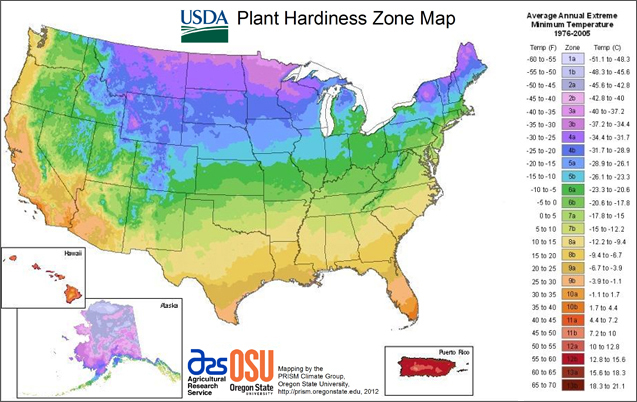 It will suffer damage at 30 F (around -1 C) and it will die at 26 F (-3 C). Plant a Graviola tree in rich well-drained soil with 5 to 6.5 pH. Wash soursop seeds and prepare a warm, shady indoor spot for germination. Plant the seeds in peat pots filled with potting soil, less than 30 days after harvesting from fruit. Keep the soil moist to the touch. 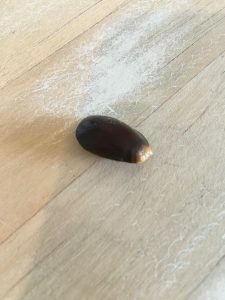 Soursop seeds will germinate in 15 to 30 days if the are viable. If you live in a suitable climate as noted above (no frost, warm tropical or sub-tropical temperatures) you can transplant seedlings outdoors, or accommodate the growth of a tall indoor potted tree in a greenhouse. Prepare a sunny, south-facing spot with wind protection in the garden and rake 2 inches of compost into the soil. Add 3 inches of mulch to keep moist. Water soursop plants often enough to keep the soil moist, but not wet, during hot weather. When the weather cools in the winter, be sure to reduce watering. Soursop plants can tolerate drought. That said they can develop pest problems if they are always wet. Provide soursop plants with 10-10-10 fertilizer, using a total of one-half pound of fertilizer per tree in the first year. Split the amount quarterly. In the 2nd year, raise the amount to 1 pound. Thereafter use 3 pounds of fertilizer per year. Reapply mulch annually to the trees. Widening the mulch application area to 5 feet as the tree’s root system expands. When soursop fruit is still firm and yellow-green in color, you can harvest it. Don’t allow the fruit to get soft on the tree. Ripen indoors. Store picked firm fruit in the refrigerator for several days until it becomes soft to the touch.